The woman in charge of the revamp of Nova Scotia’s mental health system says there is “absolutely no doubt” more money is going to be needed to fix it, but she’s not preparing a bill just yet. Linda Courey says a lot of other problems have to be solved first. Courey is senior director of mental health and addictions with the Nova Scotia Health Authority. The authority has embarked on a five-to-10 year process to reform the system so it can deliver effective and timely care. The authority is examining such things as the best ways to deliver care, and how it should prioritize patients for access. There is broad consensus that Nova Scotia and other Canadian jurisdictions spend nothing like what they should on mental health. “We know that depression is the number one disabling illness in the world. but we know that the proportion of funding that goes to mental health care from the rest of health care is not in keeping with the burden of the disease,” said Dr. Stan Kutcher. Kutcher is the Sun Life Chair in Adolescent Mental Health at Dalhousie University’s Department of Psychiatry. Kutcher is a former Liberal election candidate, and one of the best known advocates for mental health in Nova Scotia. He was part of the expert panel assembled to look for ways to improve the system in Nova Scotia this past year. The Nova Scotia estimates for 2015-16 (the last year for which both budget and physician billing information were available) show total money allocated to the Nova Scotia Health authority and the IWK for mental health services was $139 million, with another $9 million spent directly by the health department. The 2015-16 total billed by psychiatrists and family doctors to the provincial medical insurance plan was about $63 million, bringing total spending on mental health to more than $210 million, an impressive sounding number. In PEI, the similar number is $33 million, made up of $2.1 million spent directly by the Department of Health and Wellness, $27.5 million by Health PEI, the provincial health authority, and $3.6 million in billings to PEI health insurance by psychiatrists and GPs. But when these numbers are compared to total health spending in each province, they don’t look quite so large. For example, the $211 million spent in Nova Scotia works out to a little more than five per cent of the total budget of the department of health and wellness. It’s about the same in PEI. Nova Scotia says the total amount spent on mental health by the health department, including all costs, such as medications paid for by pharmacare, pushed the total to about $275 million for the 2016-17 budget year, about 6.7 per cent of the total health department budget of $4.1 billion. Just a one percentage point increase in the proportion dedicated to mental health would cost another $40 million in Nova Scotia. 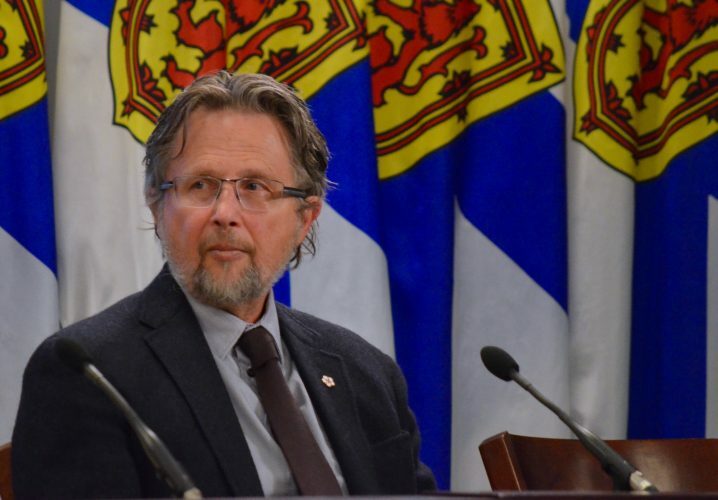 That said, Peter Vaughan, who retired in December as deputy minister in Nova Scotia’s Department of Health and Wellness, agrees with Courey that government has to be cautious about just spending more. Among Leader’s suggestions based on reforms on the South Shore, get rid of automated telephone systems that ask people to key in different numbers for different services, and instead have a real person answer a single phone number and then be able to book an appointment with the right professional, on the spot. A province-wide, live-answer phone number is one of the measures the McNeil government, now running for reelection, has promised to implement. Some of the biggest potential for change may be in how service is delivered, experts believe. One aspect of that is pushing more mental health care into family doctors’ offices, instead of quickly referring people to the formal mental health system or up the line to scarce psychiatrists. Kutcher says there is one large group with what he calls “low intensity needs,” living with depression, anxiety disorders, or in children, ADHD, and a much smaller number with what he calls “high-intensity, low-volume needs,” living with ailments such as schizophrenia, bipolar syndrome or severe eating disorders. “There has also been an expectation on the part of Nova Scotians that everyone needs a psychiatrist for life, if you are in the system, and if not for life for a very long time,” she said. One of the approaches Nova Scotia is trying is to develop is collaborative care teams in family practices that include nurses and other professionals, as well as doctors. They can then take some of the load off the physicians. In April, the government, now seeking re-election, announced 12 new nurse practitioners and 10 family practice nurses would be added in a range of rural communities, to help fill some of the gap. Better training of professionals is also needed, experts say. Doctors Nova Scotia, the organization that represents the province’s physicians, recently participated in a study in which 50 doctors were trained using a mental health module developed in B.C. According to spokesperson Kevin Chapman, the doctors who participated found it improved their ability to deliver effective services. The program’s funding ran out, however, and the organization is now looking for ways to find the money to revive it. Dr. Michael Teehan, head and clinical chief of Dalhousie University’s psychiatry department, said solving the problems that beset mental health care away from major population centres will take time. Mental health expenses are largely about people, the therapists, doctors and other professionals who deliver the care. And people cost money. Kutcher agrees that mental health care has a long way to go, and compared to physical medicine, has really made very little progress. “Forty years ago we were faced with this horribly challenging vexatious, uncertain, catastrophe in health care. It was called HIV/AIDS, and that was a death sentence. Now you can live a full and constructive and healthy and constructive life, with HIV AIDS,” he said.